Sometimes the hardest part about following promising upcoming mobile games that are in development for a while is just remembering they’re still coming. 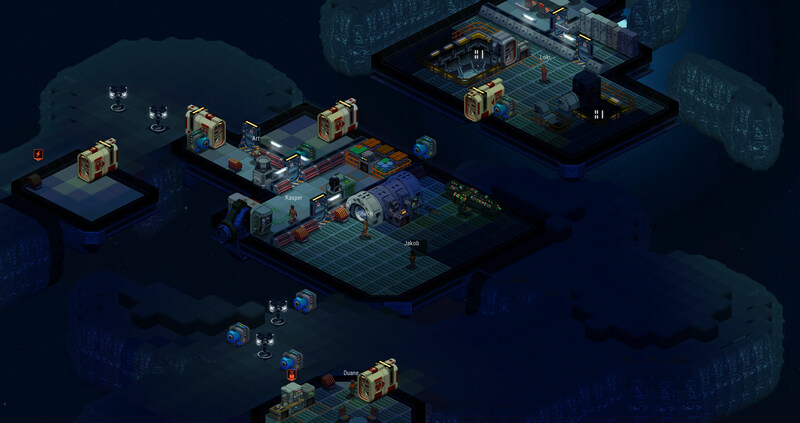 Space Haven resembles that description, as it’s a really cool-looking sim/strategy title where you will build your own spaceships to shepherd what’s left of humanity to try to find a new home somewhere in the reaches of space. We first told you about it back in the fall of 2016, and the game has been chugging away in bits by the developers at Bugbyte (who gave us Battlevoid: Harbinger) ever since. Their last update came back in April, but new screenshots posted today ensure us that yes, the game is still coming along and it looks as tantalizing as ever. One of the screens shows off an asteroid base, as apparently ships won’t be the only things you’ll be able to build and customize in order to keep humans alive. Another one of the latest screens gives a closer look at the skills and traits of one of the characters. Part of the story for Space Haven is that people were forced into space after some kind of planet-wide calamity that rendered the Earth uninhabitable. Thus, every character has a backstory including a bit on what they did prior to the apocalypse. This one has a little Rick Grimes to him, as you can see. 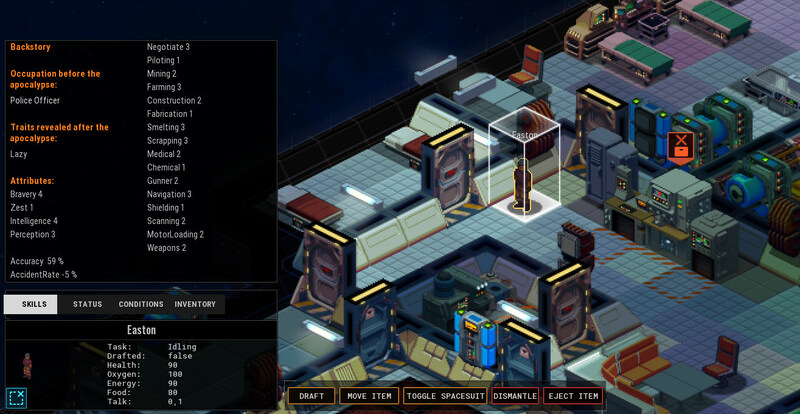 A mood system, which the devs admit was inspired by RimWorld, is also being implemented. They do say that it’s being tailored specifically for their game while adding, “Much of it is based on Maslow’s hierarchy of needs." Kids, go google that or look it up on Wikipedia right now. There’s still no word on a release date for Space Haven, but consider this your friendly reminder that it is indeed still a thing that exists. You can track its progress on our very own forums or on the official Bugbyte site.